Visitors can experience two seasons on the same day in Antalya, swimming at Konyaaltı beach, playing golf in Belek, and skiing in Saklıkent, which is just a 45-minute drive from the city center. 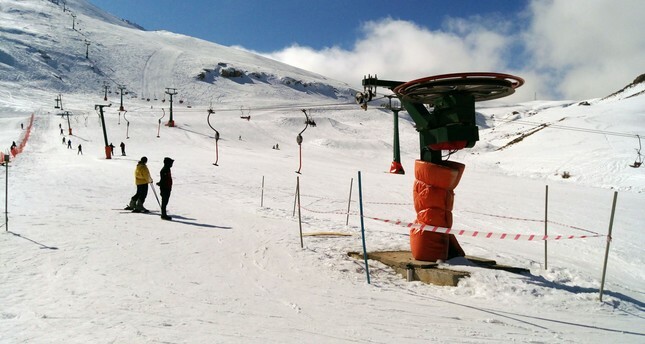 Around 50 kilometers from Antalya, Saklıkent has four ski tracks operating from mid-December to the beginning of April. Founded in 1971 by then Governor Hüseyin Öğütçen, the resort sits on the peak Bey Mountains on an altitude of 2,400 meters. Last winter, the center received more than 45,000 people. The resort has a total of 45 villas with a capacity of 250 people. "Our goal is to host 1 million tourists in Saklıkent," Emin Altıner, president of cooperative housing at Bey Mountains Saklıkent, told Anadolu Agency. "We want to become a winter tourism center. 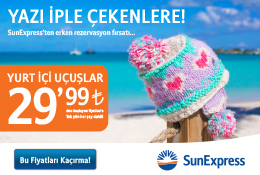 The region has the potential for at least another 30 resorts like Saklıkent. Antalya would become the center of skiing in Turkey, as it is for golf," Altıner said. "Antalya is the ski destination closest to the equator," Altıner said after pointing out Beirut and Bolivia also had resorts. The manager of the resort Şendoğan Bilge said, "Only in Antalya you can go for a swim at noon and go skiing afterward in March."